MTA was approached by a small developer to gain permission for 3 flats on a grade two listed plot in a conservation area. After intense negotiation with the conservation and planning departments of Southwark Council permission was granted for three contemporary flats. The project was our first completed new build project. The contemporary modern design was developed to give a greater sense of space and light than actually exists. The corners of the main living areas have the option of folding away extending the boundary and becoming balconies. 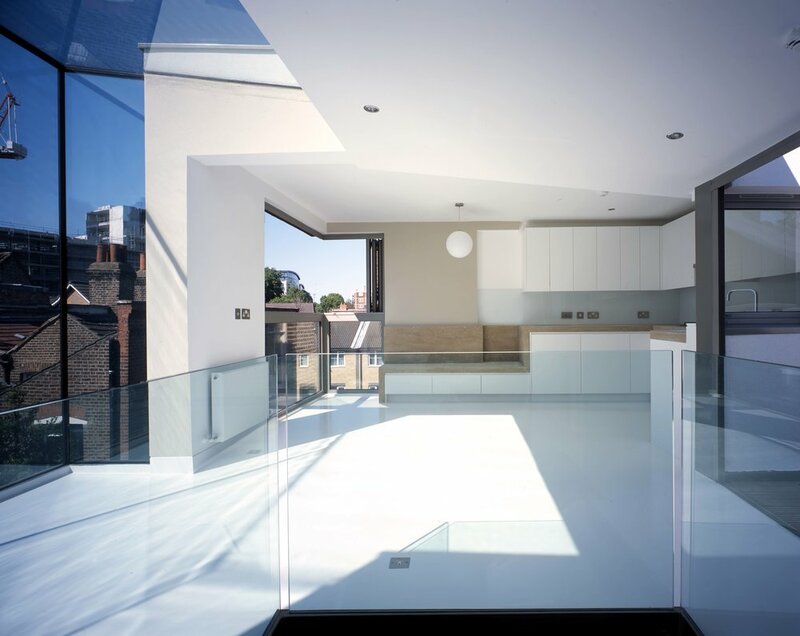 A contemporary structural glass box pushes the living area of the top flat out beyond the site limit exposing the space to the roof tops and gardens. 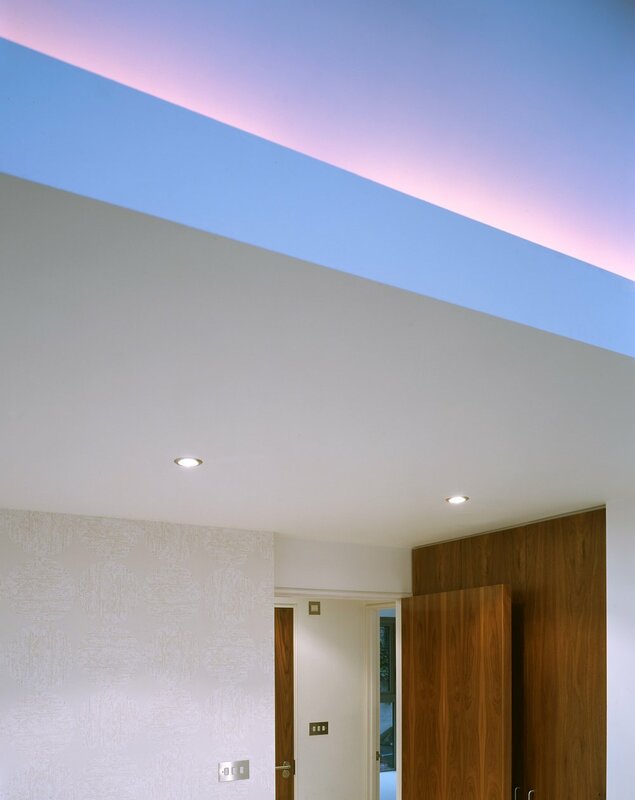 The privacy to the rear neighbours is maintained by locating the bedrooms at the back with vertical views of clouds and stars, as most of the time used in the typical bedroom is spent lying down. The envelope was conceived as interlocking panes of glass, wood and render, filtering and framing the outside, opening the street elevation rather than hiding behind impenetrable walls.